Notice that unlike most other electronic components, this one has three leads (wires) sticking out of it. 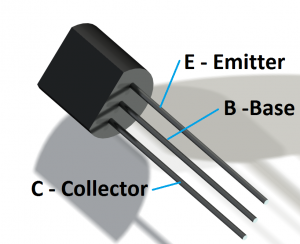 Transistors are packaged a lot of different ways, but they almost all have three leads (you might try doing a google image search on transistor). See. Just like I told you. Now, the collector is where the water electricity goes in, the emiter is where it goes out, and the base is what controls how much electricity flows. 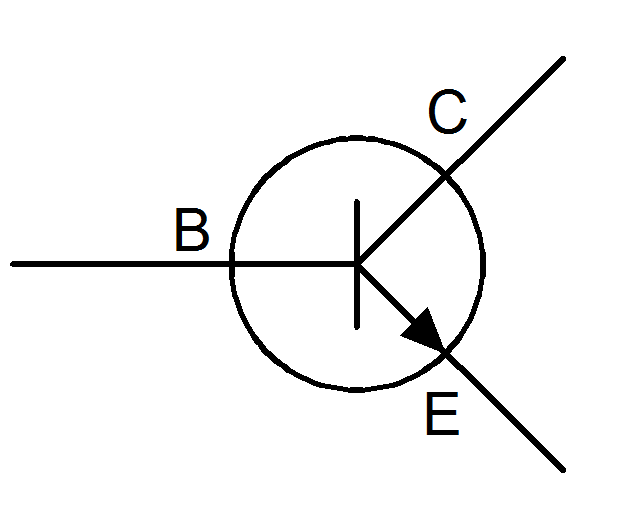 The more electricity you send to the base, the more electricity flows from the collector to the emitter (I like to remember that the “B” lead is the “button” you push to make it work). Don’t call it a button, though or people will laugh at you. It won’t have the B, C, and E labeled on it, though. If your transistor looks different from the one above, check the spec sheet to see which terminals are the base, collector and emitter. 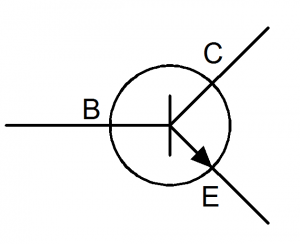 Also, if the transistor symbol looks different from the one above, it is a different type. It will work a little differently, but the general idea is still the same. By the way, the one we are using is a NPN style transistor if you were wondering. 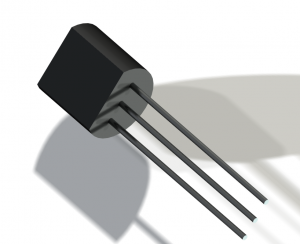 Most of our projects will use this type of transistor (actually a model BC547 NPN Transistor to be exact).